"Love Is The Meaning Of Christmas" - A radio Christmas Special is here this December 2013 at www.MusicChartsMagazine.com. 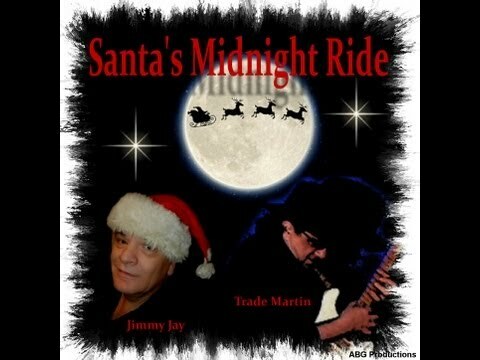 This Christmas radio show is hosted by DJ of the Stars DJ Jimmy Jay and he is joined by celebrity guest Trade Martin. Trade Martin is an American musician, songwriter and producer. Trade Martin worked with Johnny Power in the late 1950s, recording as Johnny & the Jokers and together launching the label Rome Records, active from 1960 to 1962. The label signed the groups The Earls, Del & the Escorts, and The Glens. On many of these recordings, Martin played all of the backing instruments, overdubbing them track by track. Martin also released some solo material on Coed Records, including the 1962 hit "That Stranger Used to Be My Girl", a #28 hit on the Billboard Hot 100 in 1962. He released several further singles on Roulette Records and other labels in the 1960s and an LP entitled Let Me Touch You on Buddah Records in 1972. Martin spent nearly thirty years in production and arrangement, doing work from the 1960s girl group era through to 1980s pop. Among his credits are songs by Eric Andersen, Ellie Greenwich, Lesley Gore, The Tokens, Ian & Sylvia, Ricky Nelson, B.T. Express, Pam Russo, and Solomon Burke. He also wrote a number of songs covered by noted acts, including "Take Me for a Little While" (Dusty Springfield), "Peace to the World" (B. B. King), and "Don't You Double Cross Me" (Dave Edmunds). Martin wrote several film scores. Credits include Hail, Stormy Monday, The Inkwell, It's My Party, and West New York.